Hello April! The weather has been real nice lately, high in the 70s with warm sun and light breeze. 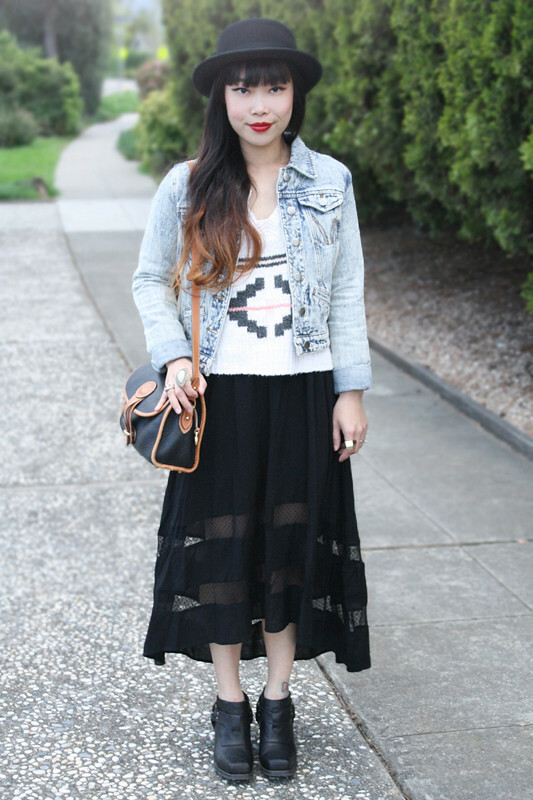 It does however cool down a lot in the evening, so layering is a must! 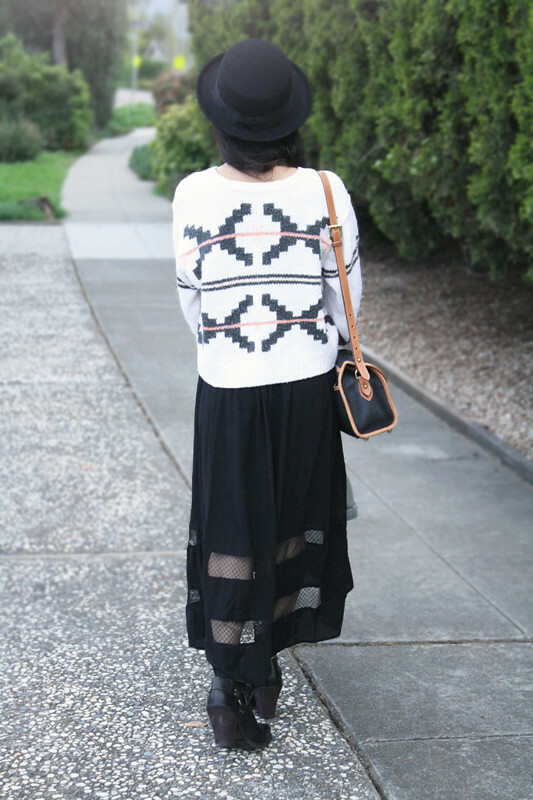 In this look, I am wearing a sheer paneled fishtail dress layered with a denim jacket and an awesome vintage tribal print sweater gifted to me from Heirra Vintage. I accessorized with a boater hat and slipped on my new Jeffrey Campbell Rumi boots (my favorite part of the boots is the beautiful stitching in the front). While I was editing these photos, I noticed something funny... the stripes in the middle of the tribal print and the sheer paneling of the dress match! Looks like even my subconscious self likes to play with matching details too! Sheer paneled fishtail dress by Nameless from my work Sway. 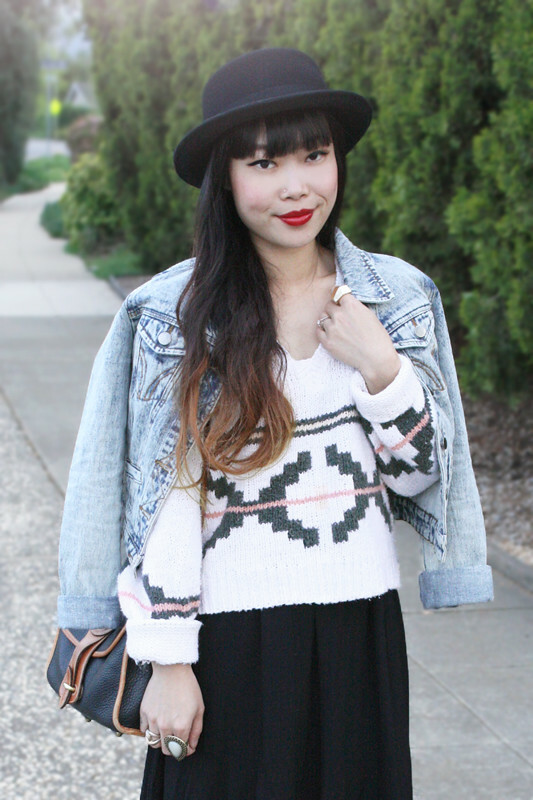 Vintage tribal print sweater by Liz Wear c/o Heirra Vintage. 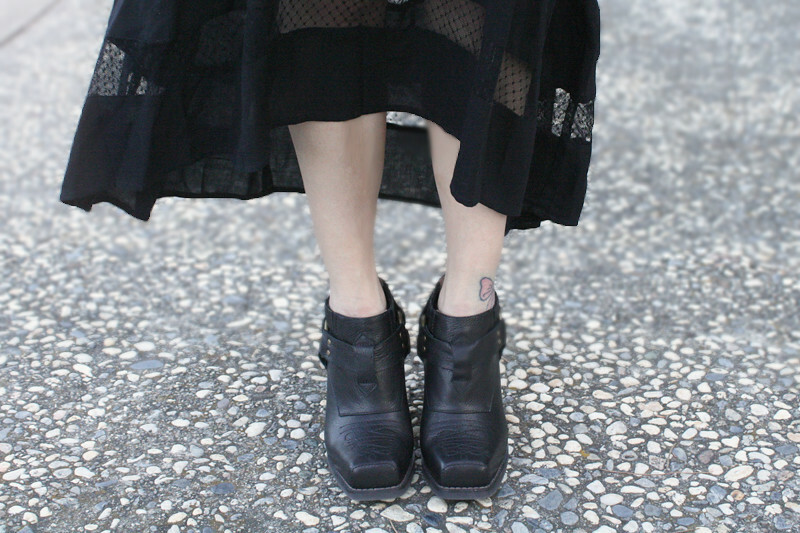 Rumi boots by Jeffrey Campbell from MissKL. Wonderful outfit! I loooove the details of the skirt! Love the boots with the skirt! So cute. Super cute as always! Love everything Toshiko! I need that skirt! So cute! Gorgeous outfit, I love that jumper with the skirt, really lovely! Your makeup is immaculate also!